During the Vancouver 2010 Olympics Opening Ceremonies, they aired this fantastic Coke Commercial. Wow. 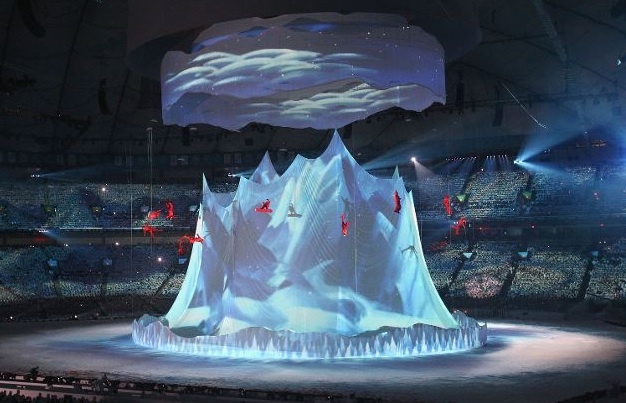 Did you catch the Opening Ceremonies for the 2010 Winter Olympics? They were absolutely stunning. The ceremony had a lot of heart. 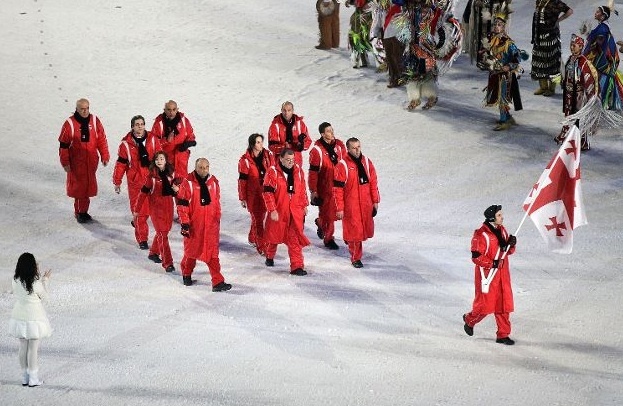 Despite the tragic loss of Georgian luge athlete Nodar Kumaritashvili during a warm-up, the Georgia National Team decided to go ahead and participate in the Games and dedicate their performance to him. 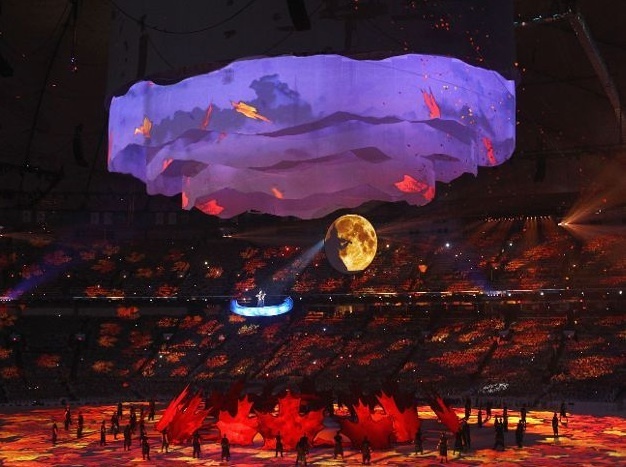 The Opening Ceremonies were a complete visual masterpiece. Every person in BC Place Stadium had a white sheath that they wore over their clothes, enabling them to become part of a huge canvas and become a part of the artistry of the evening. With Jack Poole and Nodar Kumaritashvili in our hearts – and standing on the shoulders of every Canadian – I commit that the men and women of Vancouver 2010 — our partners and our friends — are ready to deliver the performance of a life time. You compete with such bravery, conviction and pride. At these Games you now have the added burden to shine and be united around your fallen colleague Nodar. May you carry his Olympic dream on your shoulders and compete with his spirit in your hearts. Many thousands have made tonight and the days ahead possible — But the spirit and soul of all 33 million Canadians has been sewn into the fabric of these Winter Olympic Games. Reminding us all that those values that unite and inspire the best in us — we must never abandon. As the Olympic Cauldron is lit – the unique magic of the Olympic Games will be released upon us. Magic that causes the athletes of the world to soar — and the rest of us to dream. From whatever continent you have come we welcome you to Canada — a country with a Generous Heart. We love that you are here. You are among good friends. Through our example tonight and over the 16 days to come our children will begin to dream and believe in what is possible. Lives of great significance begin with a spark – a nudge – a gesture. Together let us touch as many as we can — while we can. As the 21st Olympic Winter Games – Canada’s Games begins — it is with Glowing Hearts – Des Plus Brilliants Exploits…..That we wish you all the Time of your Lives. After traveling over 32,000 miles across Canada, the Olympic torch was lit in a non-traditional way with not just one, but four prolific Olympic athletes lighting the torch together, including “The Great One”, legendary hockey player and four-time Stanley Cup Winner, Wayne Gretzsky. What a unique display of Canadian teamsmanship. What was the most memorable part of the Opening Ceremonies for you?